Hey guys! I’m Ashley from The Edible Perspective. I couldn’t be more excited to be guest posting on Angela’s blog today. Ange + I have known each other for almost 2 years now, and I’m pretty sure we’re long lost sisters. I live in Ft. Collins, Colorado with my husband + two doggles [boxer + great dane/lab] and we love, love, love it here! I started my blog just over 1.5yrs ago + at the same time I curiously stole borrowed my husband’s dSLR camera and fell in love with photography + photographing food. Two of my biggest passions are cooking + photography, which I’m trying to create my own career from, although I actually have a master’s degree in Architecture. A few months ago, I discovered I have an intolerance to gluten. My digestive tract is so much happier without it! Now let’s get started with those vegan recipes! If you know me at all, you most definitely know that I am a nut butter fanatic. 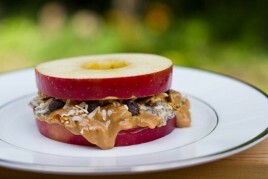 You will also know that I love creating my own nut butter recipes. When thinking of which one to share, I was immediately drawn to my Chocolate Chip Cookie Dough Almond Butter. Why? Because I know Angela is a huge fan of cookie dough and this literally tastes like raw dough. The crunchy pieces of chocolate chips will have you double dipping in the jar for more. Enjoy this as an oat topping, ice cream topping, sandwich topping, you just can’t go wrong! My next recipe, is literally hot of the press and in perfect timing for your next veggie burger craving. 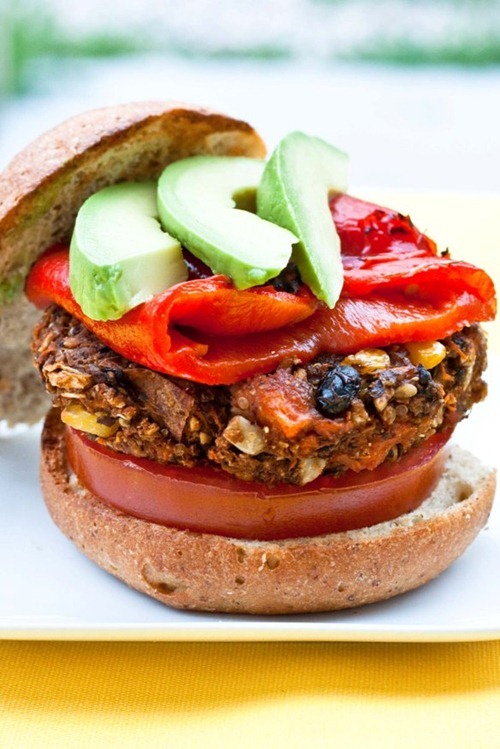 This Sweet Potato Black Bean Burger has blend of Mexican spices, black beans, sweet taters, quinoa, corn and more. Not only is this burger super flavorful, but it holds together and has awesome chew. And guess what? No food processor involved! I promise the man in your life will love it too! Something else your man will love? And even your kids? BEER fries. These are the best oven baked fries I’ve ever had. They take a little longer to cook, from soaking in beer, but result in a perfectly crispy french fry. I kept the seasonings simple with garlic, salt + pepper. And if you’re looking more sweet tater in your life, check out my sweet potato beer fries. They actually retain some of the delicious beer flavor! You might want to make this next recipe on a cool summer night. If you have those where you live! Or just stow it away for fall. 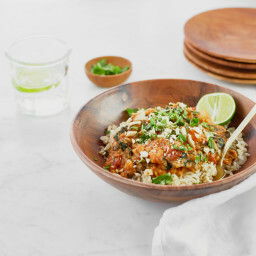 No matter what the temperature, this is my best curry recipe to date! 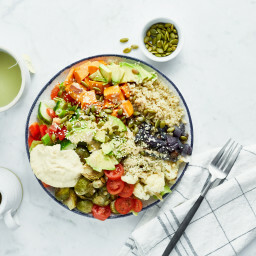 It’s a 2-part recipe with curried chickpeas as the main attraction and creamy coconut quinoa on the side. I can’t leave without ending on a sweet note. You will leave your family guessing the ingredient list for this next recipe! The secret is avocado. Favorite chocolate cake ever? I’m pretty sure it is. I haven’t created a gluten free version yet, but when I do, a chocolate coma will ensue. 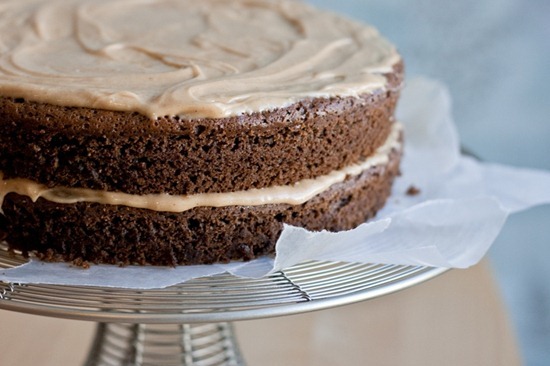 The avocado keeps this cake extremely moist and it’s packed full of delicious cocoa. The brown rice syrup + sucanat combination, add a nice light sweetness. Kid friendly. Family friendly. You’ll need to hide this under your bed, because it’s not gonna’ last long! This cake was originally paired with a Green Monster frosting [whipped cream + spinach + sugar]. For a vegan version, just swap the whipped cream for full fat coconut milk. Or, pair it with a simple vegan peanut butter frosting. Either way, you can’t go wrong. If you’re interested to learn more about my life, my photos + my eats, stop by The Edible Perspective and say hello. I would love to hear from you! My boyfriend loves beer AND fries, so those beer fries are a shoe in! You’re welcome!! Hope the bf loves them! Thanks for sharing. 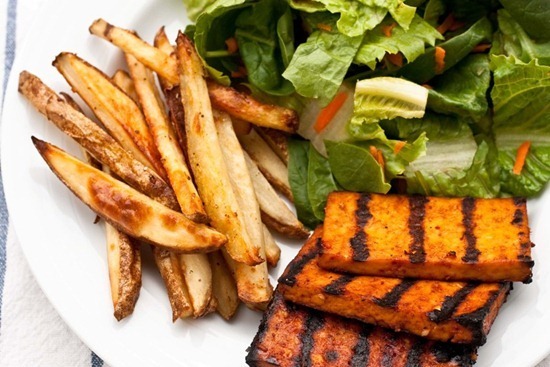 Those fries look amazing, I am making them for us and the kids tomorrow for sure! I still haven’t made that nut butter! Gosh, it looks so delicious. Everything does. Great post, Ashley! 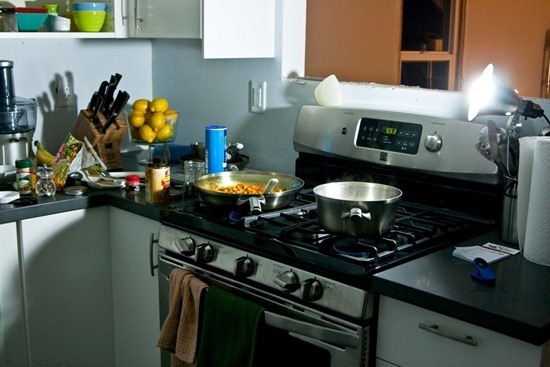 Love your photography, and of course your recipes. The beer fries. I still am drooling over those. Thanks for the reminder to make them! And cookie dough ANYTHING makes me weak. I love the AB recipe! chocolate avocado cake!?!? I need that NOW. Great post, Ashley! Loved your guest post Ashley! Somehow I hadn’t seen that cake yet, not sure how that happened? Can’t wait to try it though :) Thanks! Thanks so much Sylvia!! Let me know what you think of the cake! Aww Ashley is sweet and an angel because beer fries are going to earn me serious brownie points with my husband! Okay… I NEED to try that sweet potato/black bean burger. Yum!! Aw yay I loved this! And I’m a huge Edible Perspective fan :) Loved hearing a little more about you! I’m obsessed with all of Ashley’s nut butters! Ashley I love your photographs and your food always sounds so delicious — thanks for sharing these today! Angela, thanks so much for sharing Ashley with us. Her blog is awesome & filled with amazing recipes. It is fun to learn more about her here. That burger looks awesome! I can’t wait to try these out! I’m really excited about the nut butter/cookie dough. And avocado is always awesome! It’s great to ‘meet’ you Ashley! 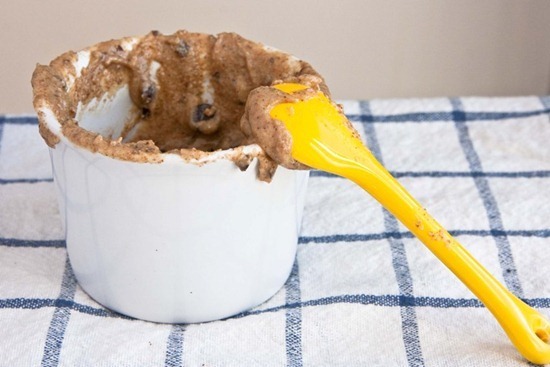 Your recipes look delicious – you had me at the cookie dough almond butter!! You’re the latest addition to my Google Reader! Perfect guest poster, love Ashley’s recipes! I’m making the beer fries this weekend. Beer fries?! Genius! 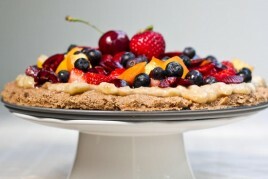 Everything looks amazing, but the veggie burger, fries and cake jump out at meal and scream a perfect meal for summer! Love the photos of the two of you! Ashley, you are seriously too cute! Love this. And what incredible recipes (I’m going to have to check out) you have on your blog! I knew you were a culinary talent, but now I’m going to have to start picking at least one of your recipes to make a week… starting with that cake! Aw, thanks so much Lauri!! Hope you love the cake! These all look fabulous! I love trying out new vegan recipes! I can vouch that the Sweet Potato burgers and Curried Chickpea with Coconut Quinoa are both fantastic. Love your food and blog. Thanks for keeping me well fed. That cake looks too yummy! Can’t wait to try it! One of my favorite reads! These look like great recipes- I really have to make those burgers soon, perhaps with the beer fries? That sounds like something my husband will enjoy too! With the beer fries for sure!!! All of the recipes look fantastic, but the chocolate avocado cake really jumped out at me! That sounds right up my alley. Recipe is now saved! What a fun guest post! I’m so excited to know about your blog, Ashley. Can’t wait to try some (or all) of these recipes. 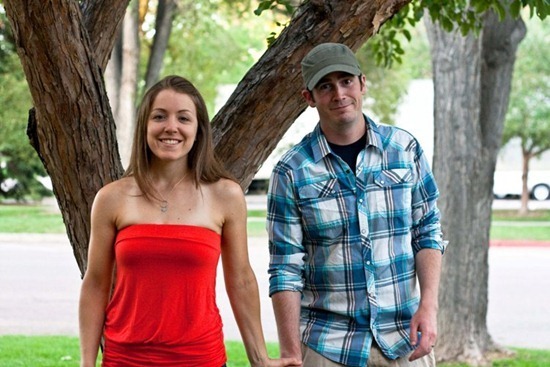 I live in Fort Collins too, so it’s fun to know about a great local blog! Yay Fort Collins!!! So glad you enjoyed my post! Two of my favorite ladies in one post. Love you guys! My worlds are colliding with both my favorite bloggers/people in one spot. This should happen more often. A Angela/Ashley sandwich with Mama Pea in the middle. Woohoo!! Fabulous idea! Why do we live SO FAR away from one another????? I have a feeling that those beer fries are going to be a huge hit at my house …. and I will definitely be trying out that black bean burger! Ashley your food always looks out of this world good! The burger looks awesome, and i really like the cake. I love the idea of green monster icing but i’m pretty sure, I’ll have a hard time convincing my friends to eat it. Avocado is so useful! As a hair paste, spicy guacamole, secret recipe ingredient…it really can do no wrong our eyes! I love when the blogs I follow cross paths.. makes me feel like we are one big group of friends!!!! I took a look at your blog, your dogs are adorable! You two are such gorgeous ladies!!!! I love all of these recipes, not gonna lie I drool over them every time she posts!! I made those sweet potato black bean burgers tonight, and they were great! hi there, i added my husbands email by mistake to follow you on…how can i unsubscribe HIM so that i can add myself to get your blog updates? I made the burgers yesterday and they were delicious!!!! These recipes look great! Especially the burger, I’m definitely going to make that one. 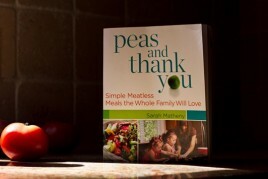 Previous post: Peas and Thank You Cookbook + Giveaway!